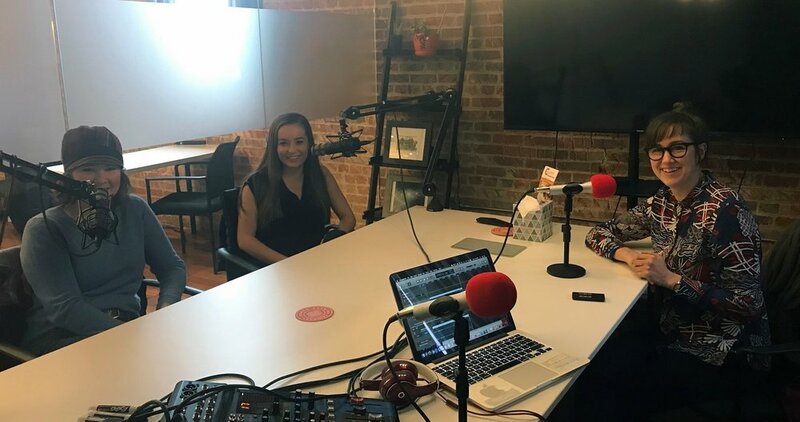 This week on the podcast we chat with local entrepreneur and Rochester native Laura Elwood, founder of Chamberlain Concierge & Lifestyle Management. Chamberlain was launched three years ago mainly as a limousine service. Since that time, the business has expanded its offerings to include a concierge menu based on client needs. On the podcast today we talk about the growth and development of Chamberlain over the last few years, lessons Laura applied to the business from her experience in hospitality and travel, and her love for solving puzzles. This week on the podcast we wrap up our “Strong Women Creating Value” Series for Women’s History Month, sharing the stories of four strong female leaders in the community. Each of these women was nominated for the series from their peers based on their valuable contributions to the community. Join us today as we hear the stories of Christine Beech, Executive Director of the Kabara Institute for Entrepreneurial Studies; Danielle Teal, Founder of Caring Acts of Kindness Everywhere; Amanda Steele and Brittany Baker, Owners of MedCity Doulas; and Stacy Lequire, Owner of Vitality Chiropractic. Join us on our website at for more stories about these strong women! This week on the podcast we chat with local female entrepreneur Kristin Pearson of Pearson Organics. Pearson Organics is a small organic vegetable farm growing four acres of diverse vegetables for the Rochester area. The business mainly sells its produce through a Community Supported Agriculture (CSA) program. On the show today we talk with Kristin about Pearson Organics, how she originally got into farming, and how she’s been building her business over the last two years. Today on the podcast we sit down with three entrepreneurs and talk about handmade goods! This week we chat with Danni Trester, organizer of Ritz Crafters, and local makers Michaelene Karlen of Ballerina Botanicals Organic Skincare and Shelly Daood of Bound to be Creative. Michaelene is a professional dancer and Miss Minnesota 2018. She founded Ballerina Botanicals a few years ago with her mom after being diagnosed with an autoimmune disorder. Shelly always felt the need to be creative, leading this mom of three to start selling her handmade, one-of-a-kind hats, even some right off her head. Today we had a great time recording this four-person podcast (the first that I’ve ever recorded solo! ), which included the lights in the room frequently turning off as we were serenaded with dog toys in the background. Today on the podcast we talk about how these ladies got started with their maker-style businesses and what strategies they’ve used to grow their companies. We also chat about Ritz Crafters, a new-to-Rochester indie craft show coming to the city February 9th. This event will take place at the 4H Building at the Olmsted County Fair Grounds, showcasing new ideas and unique, technical crafting skill sets. Forty-five different vendors will participate in the event. o How Zoey manages her customer relationships, especially with the long-term clients she sees in real estate. o How she turns leads into clients. o Zoey’s methods to keep in touch with clients including texting, emailing, and calling, which she finds a natural fit. She also does “old school stuff” like sending handwritten notes to clients. o How to recognize when a point is reached in a customer relationship when it’s clear both parties needs are not being met. o We talk about how Zoey tried to acquire “any and every” client in the beginning phase of her business. o She explained how, later on, she learned to perform a risk assessment of her time to decide if what she could give would meet a particular customer’s needs. o The value of prioritizing what you do in your business and how this also affects your personal life. o How to personally move on and pick yourself up after a “failed” customer relationship. o We talk about the value in setting expectations early on in the customer relationship. o Zoey chatted about past experiences that helped her understand what processes and procedures she needed to have in place in her business to establish better expectations with her clients. You can find out more about Zoey on the web at www.CharlieAndZoey.com, on Facebook @CharlieandZoey, and on Instagram @charlieandzoey_realtors. “But the biggest twist of all came last year when at age forty I had my son and I found my passion. I wanted to start my own business because I wanted to have control of my own life so that I could be more present in his,” explained Fynbo. As a solo entrepreneur, Fynbo is in the pre-revenue, pre-manufacturing stage of Busy Baby LLC with the startup’s flagship product, the Busy Baby Mat. This product is a 100% FDA approved silicone placemat that suctions to the bottom of surfaces and contains a proprietary tether system to attach baby’s toys, utensils, and other items so they remain connected to the mat and not on the floor. The Busy Baby Mat has been market tested by local babies. After getting this initial product to market, Fynbo plans to develop upgraded mats, such as products with LED lighting. The business could also expand the original product to secondary markets, including adults with Parkinson’s disease and children with sensory sensitivities. Now, Fynbo is seeking funds to finish her current production run. She’s also learning how to list the Busy Baby Mat on Amazon and is locating a manufacturer for initial packaging of the Busy Baby Mat. · The energy that Janessa sees in Rochester’s entrepreneurial community right now. · The need for authenticity and being able to form deeper connections with ourselves and with others. · The initial classes and programming offered by Sacred Circle. · What the transition from a long-term career to full-time entrepreneurship with Sacred Circle has been like. · Janessa’s personal mission with Sacred Circle, which was born to reduce major burnout in her own life and has resulted in a significant shift in her mind set over the past year. · Her introduction to southeast Minnesota as a Kansas native and the rural tourism she sees taking place now outside of Rochester. · How the dichotomy of the name Civil Sass Hops reflects the culture of the business. · The history of hops growth in Minnesota. · The value of fresh hops in local beers. · How hops factor into the beer brewing process. · Abbey’s career as an interior designer, designing hotels nationwide. · Her husband Jake’s entrepreneurial passion from a young age and how they collaborate as a husband/wife team to run Civil Sass Hops. · The importance of open and honest communication in running a business. · The next steps for Civil Sass Hops, including an expansion of acreage and increased collaboration efforts, both with new breweries and with markets that might be just a bit unexpected for hops. This week on the podcast we sit down with Orangetheory Fitness Rochester Owner and Studio Manager Mackenzie McCormack. Orangetheory Fitness is a one-hour total body workout focused on endurance, strength, and power using heartrate-based interval training. The fitness studio is set to open this fall in the Apache Mall. Orangetheory Fitness just opened its 1,000th studio this July. · What you can expect from a session at Orangetheory Fitness. · The need Mackenzie saw in Rochester for the fitness studio. · What the process of opening an Orangetheory Fitness franchise was like. · Mackenzie’s lifelong desire to open her own business. · The process of finding real estate for the business in Rochester. · The buildout and renovations that were needed in the Apache Mall space. · The lessons Mackenzie’s learned over the past year working to open the business. · Events and initiatives going on the community that Grace and Crystal are excited about, including new ownership of Canvas & Chardonnay and The Commission’s Salute to the 4th celebration. · Their work to develop and launch women-focused events in the community, including monthly women’s happy hours and their first roundtable discussion, which will take place on June 12th. To learn more about these events and other initiatives and networking opportunities from The Commission, check out their Facebook page. This week on the podcast we sit down with entrepreneur Zoey Jantsan to hear about all her latest endeavors. Zoey is the former Miss Minnesota US International. She’s also entering into her second year as a real estate agent with RE/MAX and is the current chair of the Women’s Roundtable for the Rochester Area Chamber of Commerce. · A chat about a new community kindness initiative in Rochester that Zoey is a part of, called Read Roch, to connect members of the community through books. 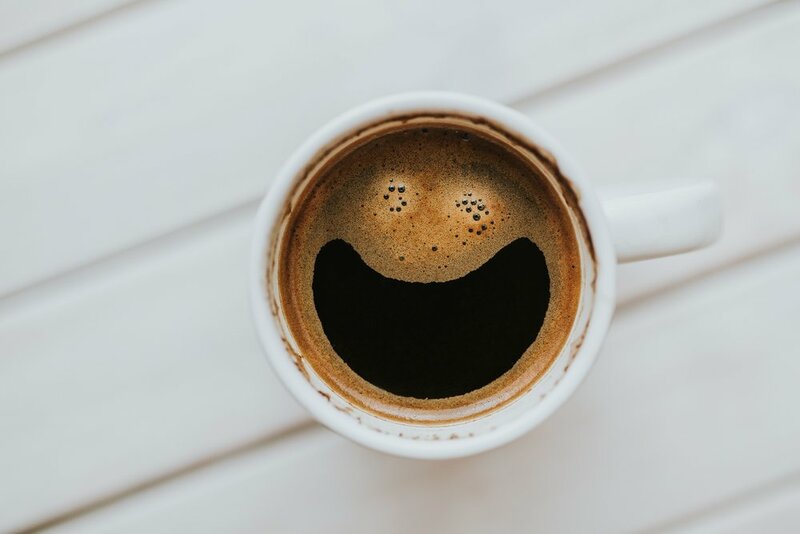 · Other initiatives going on right now that Zoey is excited about including the upcoming Paws and Claws Annual Wine Tasting Fundraiser, EarthFest, and the Rochester Flag Project. · What Zoey’s experience was like as Miss Minnesota and how it impacted her public speaking. · Zoey’s passion for animal and environmental conservation. · The challenges she’s faced in growing her real estate career. · The importance of space for business women to share ideas. On the podcast today, we share the full audio from our latest #Emerge video, talking with local entrepreneurs May Larios Garcia and Jim Fricker of Spanish and Go. Spanish and Go is “your resource for learning real-world, travel Spanish” through a series of blogs and videos. This business developed by blending together Jim and May’s passions for teaching, travel, Spanish, and recording. Now, Jim and May spend their time traveling back and forth between Rochester and Spanish speaking regions both inside and outside of the US to inspire their audience to feel ready to land and be able to talk and engage with the local Spanish culture. -how May and Jim both developed their love for Spanish. -their purpose and mission behind Spanish and Go. -where their next travels will take them. -their newest product launching soon, Travel Spanish Confidence. -how they’ve been able to successfully, and rapidly, build up their audience. This week on the podcast we talk with the ladies behind EatRochMN: Cheyenne Labott and Katie Zupancic Wymer. EatRochMN is a food blog and popular Instagram account started about one year ago where the girls tour through the Rochester food scene, creating meaningful connections and making Rochester feel a little bit more like home. The EatRochMN Instagram account recently hit 1000 followers as Cheyenne and Katie continue their food adventures around the city. This week on the podcast we talk about what drew these transplants to Rochester in the first place, the growth of EatRochMN over the past year, and what they’re looking forward to in Rochester’s food scene this year. This week on the podcast we travel out to Dahl Dance studio to speak with owner April Dahl. Dahl Dance is a professional social dance studio that teaches nineteen different dances, including swing and Argentine Tango, to adults. April and her husband Gary opened up the studio in 2005 in Rochester and have been operating the business for thirteen years. This week on the podcast, we talk about Dahl Dance’s move to their brand-new space, what it takes to successfully run a business for over a decade, and the studio’s involvement in the Rochester Dancing for the Arts program this spring. This week on the podcast we listen in to the full interview with Becky Montpetit, Founder of Rochester MN Moms Blog, in our Diverge series. This is the final piece of our multi-part series where we explore the stories of four Rochester entrepreneurs who left long careers to pursue their entrepreneurial dreams. This week we listen in to the latest story in our Diverge series, where we explore the journeys of four Rochester entrepreneurs who left long careers to pursue their entrepreneurial dreams. Today we listen in to the full interview with Ryan and Jackie Steiner, owners of UNRAVELED Escape Room. Our podcast this week features the latest installment in our Diverge series, where we tell the stories of four entrepreneurs who took significant risk to change career paths. 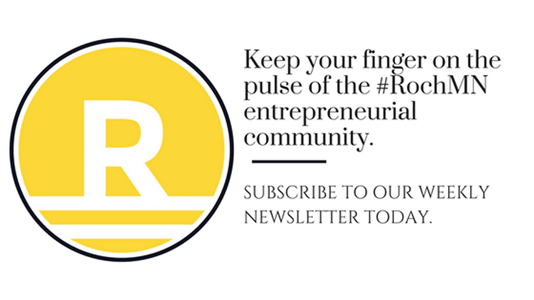 On the show today, we speak with local entrepreneur Rosei Skipper. Rosei is a trained medical doctor who completed a five-year residency program at Mayo Clinic in Adult and Child Psychiatry. Now, she teaches yoga and barre classes around town and holds individual and group yoga and meditation classes through her business, Rosei Skipper Yoga and Wellness. On the podcast today, we listen in to Rosei’s full interview, where she talks about her career divergence from psychiatrist to yoga, wellness, and social media guru. This week on the podcast we listen in to the full transcript from the latest installment in our Diverge series. In Diverge, we explore the stories of four Rochester entrepreneurs who left long careers to pursue their entrepreneurial dreams. First in the series is local business woman Kim Gordon. Kim left a sixteen-year career in physical therapy to launch HGR Real Estate Investment Cooperative and Management with business partners Beth Nordaune and Erin Nystrom. Kim has previous entrepreneurial experience as a co-owner of Potbelly Sandwich Shop in Rochester. This week on the podcast we sit down with local entrepreneur Brittany Fenley of Platinum Studios Dance and Pageantry. 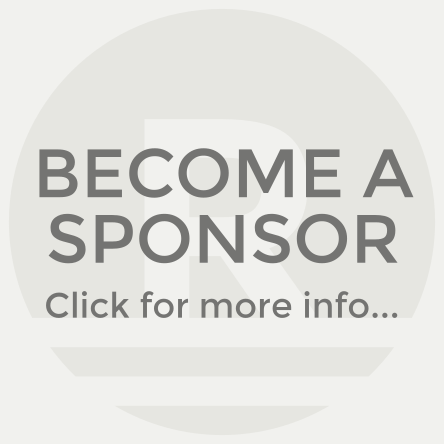 Platinum Studios is a 501(c)(3) tax exempt nonprofit that offers full scholarship opportunities to children in Rochester and the surrounding community. The studio focuses on children between the ages of three and seventeen and teaches ballet, jazz, tap, hip hop, and cheer. They also offer a dance competition program and natural pageantry experience.